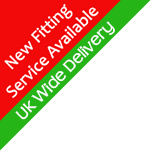 All of our diy conservatories come with a 10 year guarantee and free delivery within the UK mainland in England, Scotland and Wales, and we now deliver to Ireland. DIY Conservatory Quote also supply conservatory bases made by Durabase – a Simple Solution to Conservatory Bases. Our conservatory bases will give your new conservatory a solid foundation in a fraction of the time it takes to build a traditional conservatory base. This entry was posted on Thursday, March 18th, 2010 at 4:25 pm	and is filed under Conservatories UK - Home Improvement. You can follow any responses to this entry through the RSS 2.0 feed. You can leave a response, or trackback from your own site.